Stellar Repair for MS SQL is a database repair software that allows SQL Administrators to resolve SQL database corruption issues arising due to hardware or software issues. The admins can repair the corrupt MDF and NDF files and recover all components of SQL database such as Indexes, Views, Tables, Triggers, Stored Procedures, Rules, User Defined Functions, and Keys. Software scans the entire database and provides free preview of recoverable items. 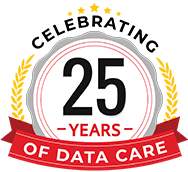 The database repair software also recovers XML indexes and data types, column set property, sparse columns, and file stream data, and saves them to the existing database or exports to a new database. Stellar Repair for MS SQL allows Administrators to scan the MDF and NDF files for mangled entries to correct the Bit pattern and bring back the database to a consistent state. Database Administrators can provide SQL server authentication to save the repaired database. This feature is useful when Windows server authentication is not available. The users can select specific database objects to be recovered and save them at the default or specified location. This helps to remove data redundancy. The software recovers the deleted records from an SQL database, and also differentiates them by saving as a new Table beneath the original file. Stellar Repair for MS SQL repairs corrupt SQL database and recovers the components in multiple file formats such as MSSQL, CSV, HTML, and XLS. Also repairs BAK files. Stellar SQL database recovery software helps to recover the SQL Tables with PAGE and ROW compression. The SQL recovery software also supports Standard Compression Scheme for Unicode (SCSU) for SQL Server 2008 R2 and ensures recovery of entire SQL data in its original format. The Toolkit edition of the software allows the users to fix the inconsistencies in damaged SQL database backup or BAK file and save the recovered objects to a new database file at the specified location. The software displays a free preview of all the recoverable objects before saving. Stellar Repair for MS SQL helps to save the scanned results automatically during the repair process. These scanned results can be saved at a later stage. This feature allows the users to save time by resuming the file saving process without undergoing repeated scanning of the entire MDF file. "The managed to extract data in almost all corruption cases. The tool is good value for money given its out of the box functionality. " "I really like the simple and intuitive interface. The application easily repairs SQL database files in an automatic way. " Repairs SQL Server Data Base, MDF and NDF file. Repairs SQL Database, corrupted .BAK files, SQL Password Recovery. Operating System: Windows 10 (32bit/64bit) / Windows 8.1 (32bit/64bit) / 8 (32bit/64bit) / Windows 7 (32bit/64bit) / Windows Vista (32bit/64bit) / Windows Server 2012 / Windows Server 2008. 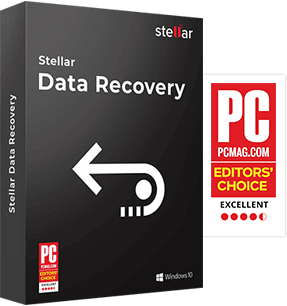 Supports: Stellar Repair for MS SQL software is compatible with Windows Server 2012, 2008, 2003 and Windows 10, 8.1, 8, 7, Vista, XP and supports MS SQL server: 2017, 2016, 2014, 2012, 2008 R2, 2008, 2008*64, 2008 Express, 2005, 2005*64, Express, 2000, 2000*64, 7.0 and mixed formats. Stellar Repair for MS SQL has brilliant search capabilities to search all SQL server databases from the selected drive. Very easy to use and the recover deleted records feature is brilliant. Stellar Repair for MS SQL has been perfect tool for our need. It was the only tool out of many that repaired our database. Software is easy to operate & easy to manage.